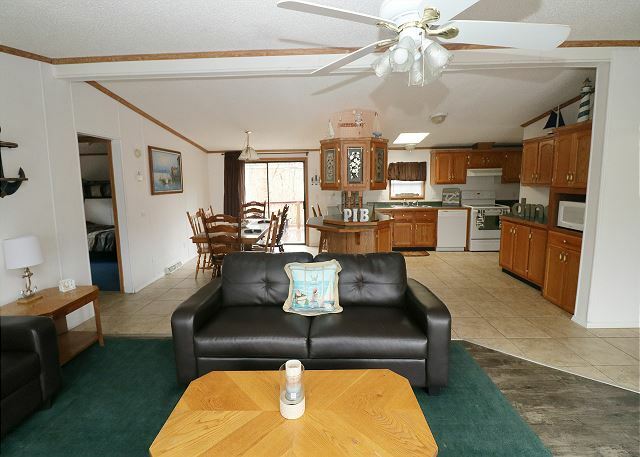 There are three bedrooms and two full baths in this Put-in-Bay home rental, with sleeping for up to ten guests. Guests enter into a hallway leading to the kitchen area. There is a washer and dryer in this area for your convenience. The kitchen is stocked with the necessary items to make a wonderful meal. The living and dining areas surround this area. A television and comfy seating areas are highlights of the living area. There is a wooden outdoor deck that can be accessed through a sliding glass door off the dining area. Two more sliding doors exit off the living area on to another great deck. A picnic table and propane grill completes this space. There is parking for up to two vehicles with this unit. 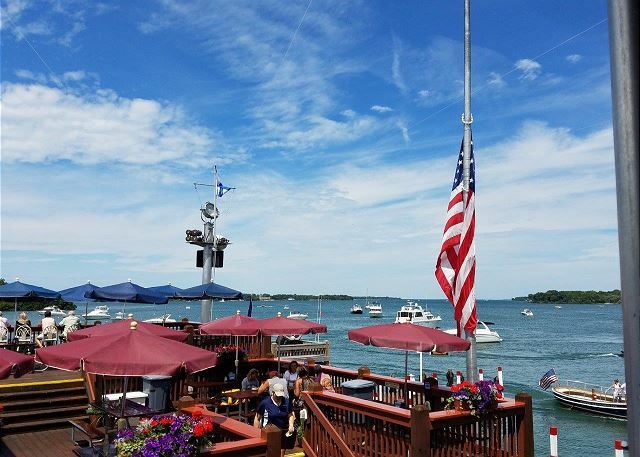 The Island Club at Put-in-Bay is the number choice for vacation home rentals on the island. Don't sell your group short by splitting up in a bunch of hotel rooms. Stick together and make memories that will last. Book your dates today because with all of the fun of PIB, these homes go fast! 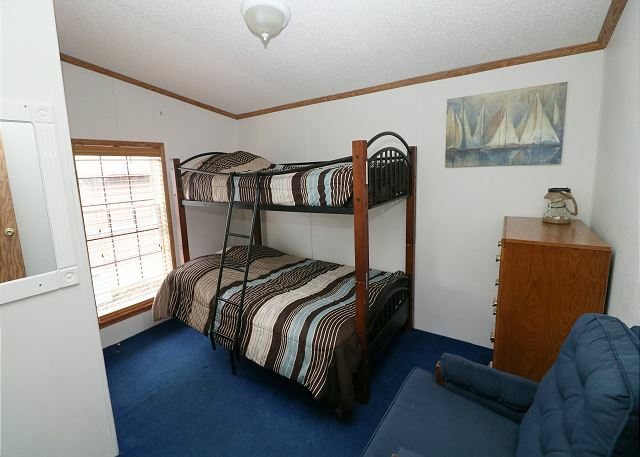 The bedding in this house is as follows: Queen/Full Trundle (1st BR), Twin/Full Bunk (2nd BR), Twin/Full Bunk (3rd BR). "Stayed in unit 94. Very convenient. Everything we needed. Excellent manager who immediately responds if we need anything. "Place could have been a lot cleaner. No Wi-Fi. Back porch was disgusting. Dishes weren't clean. Place needs TLC for the price they are asking." "Mine and my guest experience was overal a great experience! We couldnt use the back porch however because it has so many spider webs and bugs all over the canopy!" 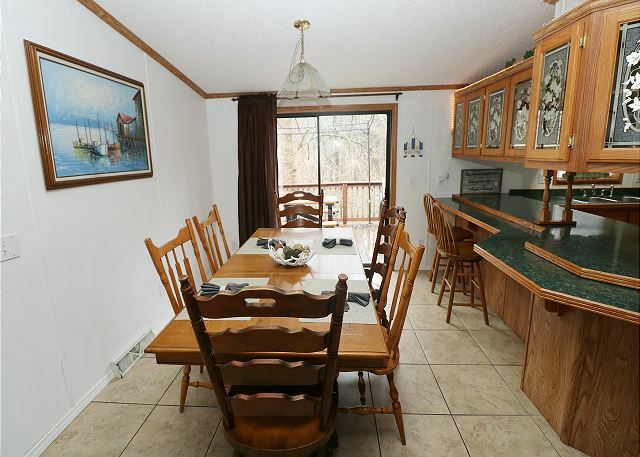 "The vacation rental was all in all a positive experience. It was fairly clean. There was room without a light. " "Home was clean with the bare essentials to make it through. Location was great with the community alive. " 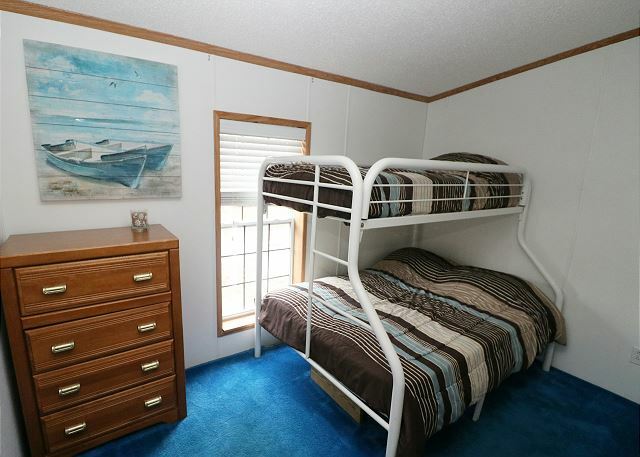 "Loved it had so much fun definitely will book in the future "
"Week long stay to fish walleyes." "This was the nicest unit I have had in the 8 years I have been coming to Island Club." "We ha a great time. Only negative was the living room furniture. the beat up couch in #94 should be replaced." "A great place. 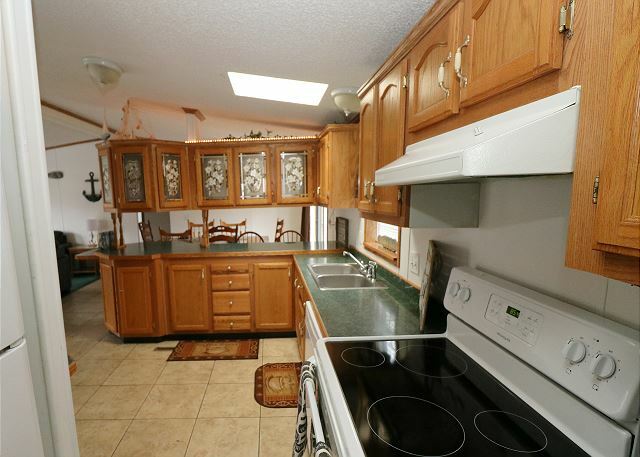 Convenient to boat dock and well equipped. We will come back." "The house was clean. The back deck was not cleaned off so we tracked a lot of debris in the house. Grill worked great but the kitchen sink had issues with the faucet. Taxi service was a huge help to get back and forth. Nightlife made it all worth it. We will be back." "Loved every day we stayed there, if something was wrong made a call and it was taken care of. Would definitely go back. " 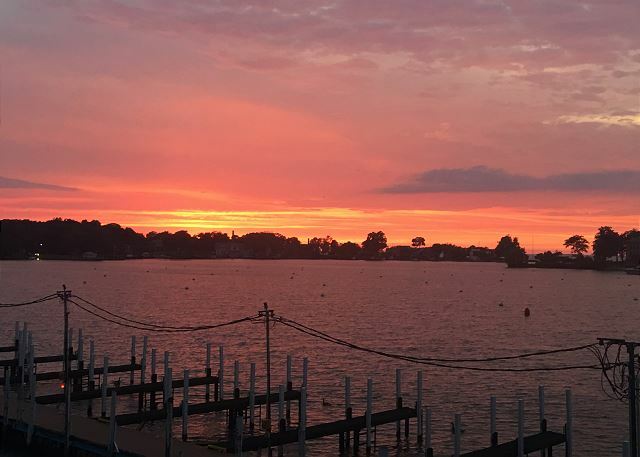 "First time at Put in Bay and had an amazing timing with amazing people. I would definitely like to some back with some friends later this summer. " "For the price and location it was worth the money. The place needs to updated some and it would be nice to have a TV that you could attach a video game to. The Internet by the pool was not working and it would be good to have it in the house." "There was plenty of room for 9 of us. The kids enjoyed the pool was heated due to daily temperatures in 60-70's. We used golf carts to get around, nice to be away from the main part of town since we had kids. The few younger party groups renting in nearby houses were respectful to families. We all agreed we would stay here again." "Go back to Island Club every year. Great time. No issues. " "Great Location. Put In Bay is great place for party atmosphere! I would def like to get back and stay again!" "spacious and clean property! 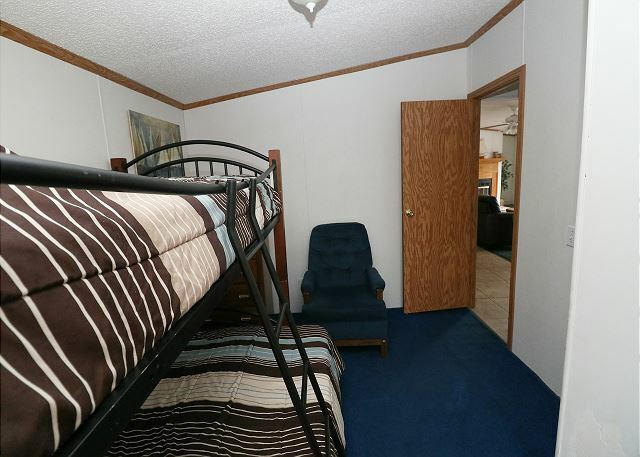 ideal area for a bachelor party"
"Overall very pleased with most everything. No frying pans, had to improvise with cooking. With early check out, hard to get moving that early to clean house. " "Great location! Use the Island Taxi if you are here to party!! Another rocking good time at PIB!" "We had a great time. Taxi makes this a very convient location to stay at. This is my sencond time here and would do it again. Thanks!" "We absolutely enjoyed the island home stay. All 8 of us. We were supposed to be in 96 but were moved to 94 at last minute, but we were met my property manager to make sure we got in okay. The home was awesome, only minor inconveniences like non-working outlet in 2nd bathroom and a vaccum that spit everything back out. It was a little chilly when we went so it was nice that we had access to another indoor pool on the island. That made the children happy. The staff was great and made sure we had our golf cart at the time promised and answered all questions for us. We will definitely be returning!!!" "Island Club is 2 miles away from the happening place(Downtown).. You need to have golf - cart to travel between downtown and club house. If you don't have cart, you can take a taxi for $3 for each drop and pickup. Overall we had a nice stay for given price. " "Great stay for the price! Only complaint was broken trundle bed with uncomfortable mattress. Staff was great delivered golf cart right to home and responded to any needs we had!" "We enjoyed our stay, great location, the size of the house was great for our group, and we had no real problems. Outlets in the bathrooms didn't work but that wasn't the end of the world considering the house had soo many outlets. My group would definitely rent an island club house again in the future! See you next Memorial Day! "